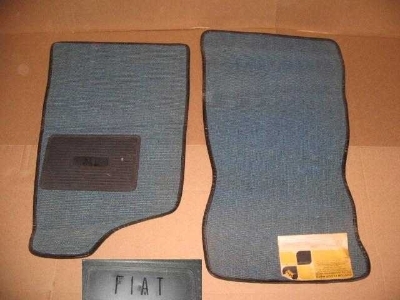 NEW - AFTERMARKET FLOOR MAT SET, ASK FOR COLORS. DRIVER SIDE ONLY USE 3074. So you can estimate your shipping costs from www.ups.com or www.usps.com (this form required for all US Post shipments http://www.fiatplus.com/postal-agreement-pg-6.html ), this item weighs less than 7 pounds, and can be shipped in a 32 x 8 x 8 box.